We all love a good engagement story, so here are the most romantic – and controversial – celebrity proposals of summer 2018, AKA The Summer of Celebrity Love. For your viewing pleasure, we’ve compiled a list of celebrity couples who just got engaged! 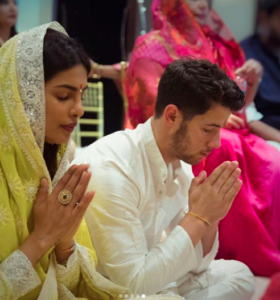 Nick Jonas proposed to Priyanka a few months after the two started dating. Then they travelled to India where the two families met in person. The couple was first spotted together in 2017 when they attended the Met Gala in NYC, both wearing Calvin Klein. However, the two were just friends, as Priyanka explained on Jimmy Kimmel Live. Over a year later, the couple officialised their engagement with a traditional Roka ceremony. British singer-songwriter Ellie and art-dealer Caspar shared their engagement in early August through the marriage section of The Times newspaper. Caspar and Ellie have been dating for the last 18 months and appear to be very happy with each other. They also have royal ties, as Caspar’s parents are a high-class family in Yorkshire. The couple also knows Princess Eugenie and Prince Harry, so pay attention to any royal guests at the wedding! Our beloved Jane the Virgin is getting married! Gina met Joe when he guest-starred as a stripper in a 2016 episode of the show. Unlike her character on TV, Gina said she never thought about her dream wedding, though she did always want to find her perfect partner in crime. They got engaged in early August, but have not released any more wedding plans. Wasn’t this the surprise of the year? After only publicly dating for a few weeks, engagement rumours began buzzing around these two young entertainers. It’s debatable whether this is young love or a partnership that will last a lifetime, but the pair don’t care what everyone else thinks. Pete and Ariana have both gotten tattoos in honour of each other, and publicly show affection anywhere and everywhere. Pete has also joined her Sweetener tour and continues to make appearances with his future wife. He finally put a ring on it! After eight years of dating, Dennis proposed to Leona, which they shared publicly the day after their anniversary in August. 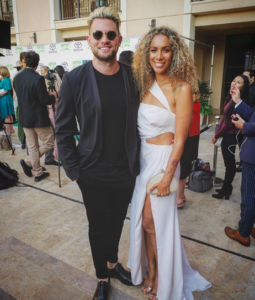 The pair met in 2010 when Dennis worked as one of Leona’s backup dancers. He is still dancing his years away, and now Leona has tagged along on for the ride. Justin has made Hailey One Less Lonely Girl when he proposed to her in July. The two dated in the past and reunited after his split from Selena Gomez earlier this year. 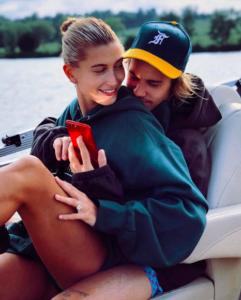 It seems to be only uphill from here, as Hailey and Justin have both shared photos on social media with loving captions. The model and singer have also been spotted on bike rides and stealing smooches in NYC.